In this hyper-connected world it’s easy for us to get too busy, to get too caught up in the everyday, to get too lost in the glow of our phones. Some days we might even forget to look up from our screens more than a few times. We miss out on quite a bit of beauty that way – like the kind that rolls on effortlessly in New Zealand. Now, we’ve waxed poetic for years about the glorious landscape that’s housed here. And that’s for good reason: it’s home to a plethora of natural wonders. In fact, we plan to keep talking about every last beach, hot spring and fjord here for years to come. But this time is different. This time we’re going to give you a tiny glimpse into how the Māori – a proud people with a fascinating culture – shaped this island-country. Welcome to “the land of the long white cloud," or Aotearoa, as the Māori would call it. Māori used the ocean currents, as well as the wind and stars to reach New Zealand. In fact, it was deliberate that Māori found New Zealand. For years they were setting off on voyages of exploration; they were intent on finding land. Kupe is said to be the first Polynesian explorer who discovered New Zealand. He left his ancestral homeland of Hawaiki and traveled across the Pacific by canoe. (Hawaiki is not to be confused with Hawaii but instead is thought to be a group of islands in the South Pacific where Māori originated.) Eventually he landed at the Hokianga Harbour in Northland – at least that’s where historians believe Māori first made landfall. For years Māori gathered and grew their own food. Kumara, which is a sweet potato, was a vital food source and provided sustenance for large settlements of Māori. They hunted, too – seals and moa were their main prey. Then the moa died out because of over-hunting. Due to the abundance that New Zealand offered, Māori thrived. Populations grew and grew, and so did iwi (tribes). In times of peace, Māori would live in unprotected settlements. When there was tribal warfare, Māori would construct individual pā (fortified villages) to protect themselves from rival iwi. Then the Europeans came. In 1642, Abel Tasman – a Dutch explorer – was the first to set his eyes on what would be called New Zealand. And it wasn’t until 1769 that the next European, James Cook, stepped foot on these golden shores. In the early 1800s was when Europeans really started shaping the communities, culture and infrastructure that already existed on the islands. In 1840, the Treaty of Waitangi was created by the British and signed by Māori chiefs. Essentially, in doing so, Māori ceded power to the British Crown. And European settlement truly began. Later, in the first half of the 20th century, prominent Māori leaders strived to ensure a better life for their people. Newfound interest in language, arts and culture grew among the younger generations. It was a major revival. Today, Māori comprise about 15% of the total population in New Zealand. Their culture, language and traditions – thanks to the efforts of many – are all still very much alive. There’s so much to see and do. You’ve got your hāngi, your haka, your pōwhiri, your marae, your pounamu, how do you know where to begin? The best place to start is a marae (meeting grounds). 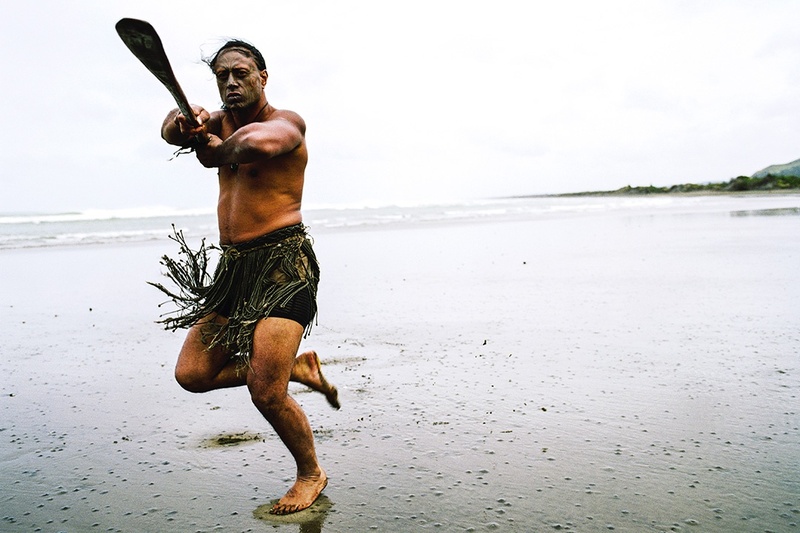 You can experience Māori culture in a slew of stunning places all over the both North and South Island – like Rotorua, Auckland, Hokianga, Whanganui National Park, Wellington and Kaikoura to name a few. But we recommend you head to the Bay of Islands for a truly unique experience. On top of staying at a marae and being greeted with a traditional pōwhiri (welcome ceremony) – an intricate ritual filled with dances and chants (haka) and welcome calls (karanga) – you can also dive further into Māori heritage and take a journey aboard a waka (Māori canoe). Back in 2011, it was featured in National Geographic as one of the world’s top 50 tours of a lifetime. You’ll hear ancient stories from Māori guides as you help paddle the 40-foot war canoe along the Waitangi River. Don’t leave New Zealand without trying a hāngi meal. Some culinary delights are special because of their exceptional ingredients. But the New Zealand staple hāngi, is exceptional because of its unique preparation. It’s a method of cooking involving an earth-made oven where vegetables and meat spend hours steaming. A traditional hāngi meal is chicken or fish cooked with seasonal vegetables, or kumara (sweet potatoes, remember?). For thousands of years, Māori have dug pits and lined them with rocks heated in a fire. The food is put into a basket, settled inside the pit on top of the warm rocks, covered with earth and then left to cook. The results are spectacular. We challenge you to find a more traditional New Zealand meal. Have you ever heard of pounamu? It’s a type of green jade that’s integral to Māori culture. Hokitika and the nearby Arahura River are considered the birthplace of pounamu. While it’s not uncommon to come across small bits of pounamu along Hokitika Beach, your best bet is exploring nearby shops and galleries. You can even visit a master carver and learn about the origins of both New Zealand’s green heart and the art of carving. But be sure to have someone else buy you your own pounamu. It’s bad luck otherwise. Māori believe that pounamu is a gift from the land and so a carved greenstone should be a gift as well. There's a lot we missed. But that's where you come in. It's your turn to experience Aotearoa. On top of everything we outlined above, there are entire museums in New Zealand dedicated to not only preserving but also reviving Māori culture. We suggest you check out the Museum of New Zealand Te Papa Tongarewa in Wellington for starters. You can learn even more about Māori language and lore, as well as fascinating traditions we didn’t have time to talk about – like the art of Māori tattoo, tā moko. Feel free to learn more about tā moko here. In the meantime, view our current physician opportunities in the Land of the Long White Cloud. 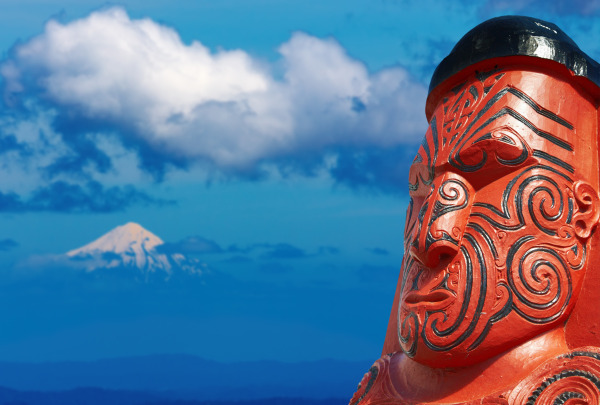 You’re sure to have a blast exploring Māori culture while on locum tenens assignment.